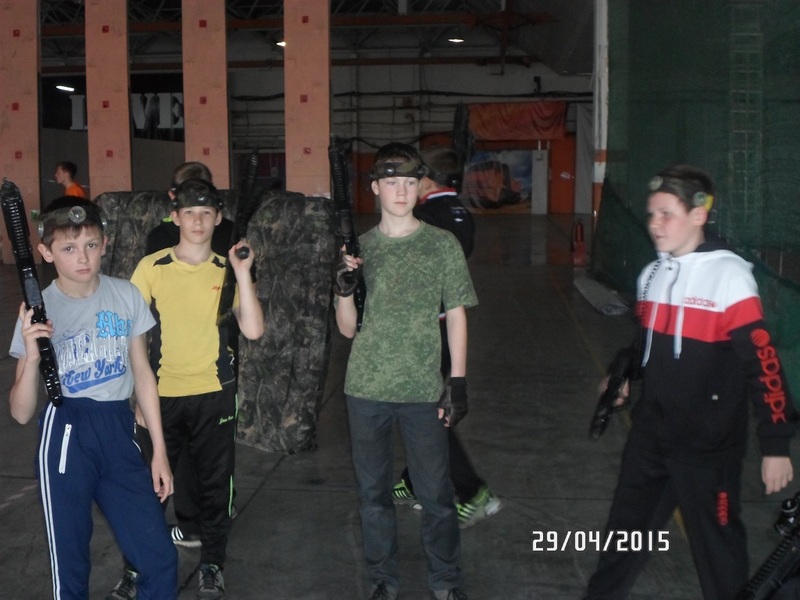 On the 29th of April the final match of laser-tag play took place in Khabarovsk. 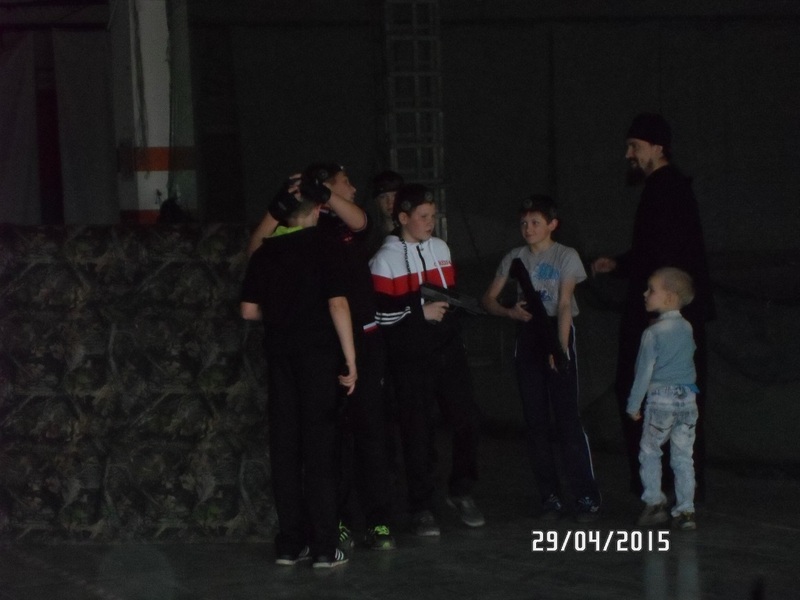 The game is the second stage of interdistrict patriotic war game “Thanks to his grandfather for the victory.” Several school teams took part in this game. 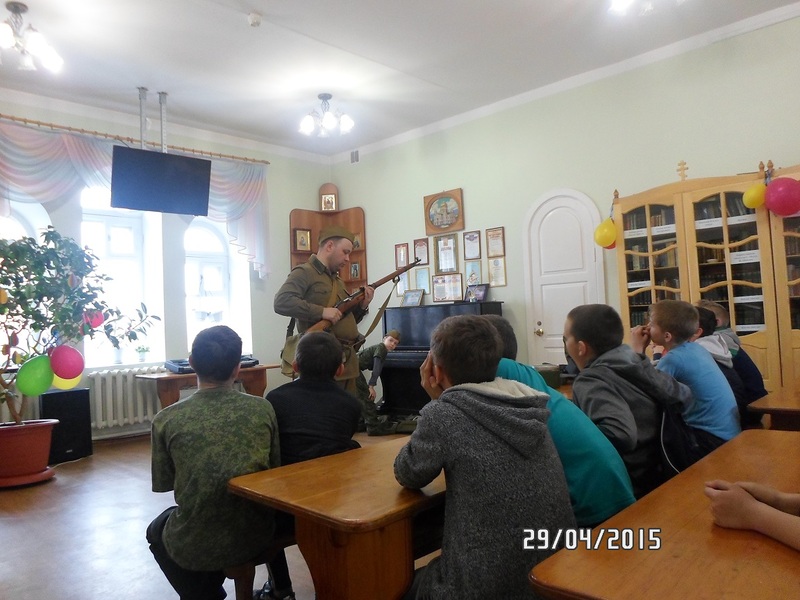 Pupils from Khabarovsk military school of Saint Admiral Ushakov, military class of school № 3 from Bikin, class of MES (Ministry of Emergency Situations) from school 1 from Vyazemskii participated in competitions. 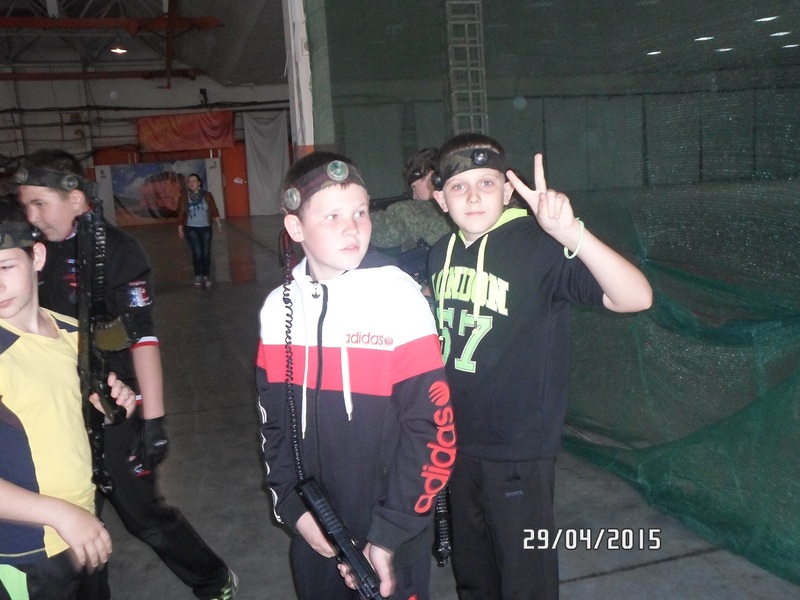 The winners were the pupils from Bikin, the second prize was given to the cadets and participants from Vyazemskii won the third prize. 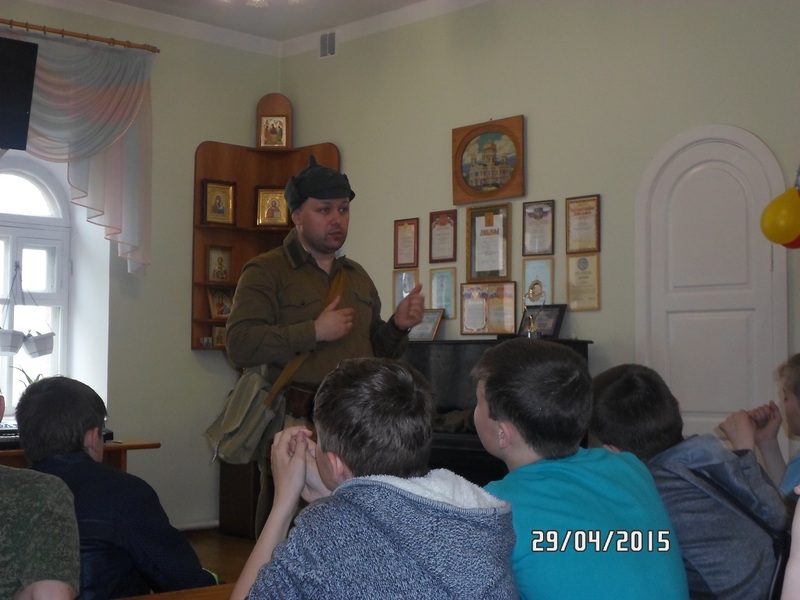 After the final game all the pupils had dinner at the Alexander Nevskii Temple. 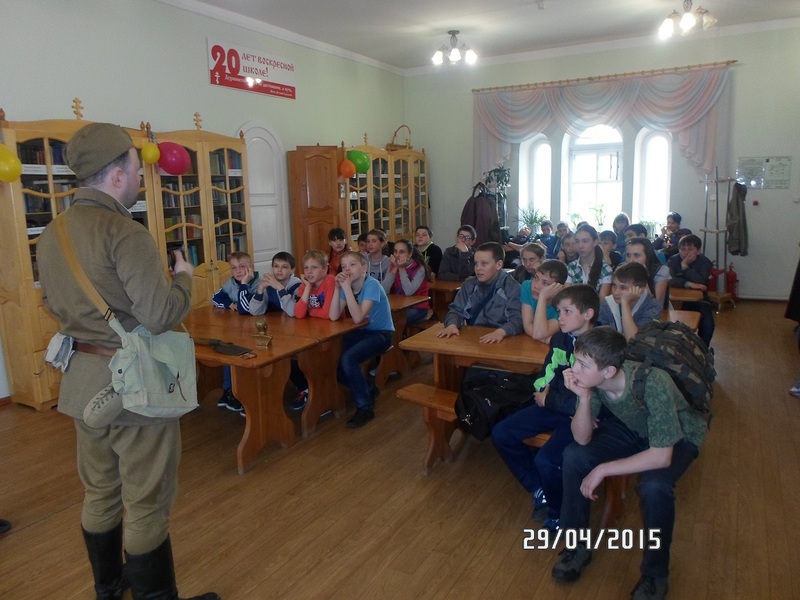 Then the representatives from Khabarovsk Military Museum of Glory led discussions among boys and girls at the Temple of Blessed Prince Daniil of Moscow. 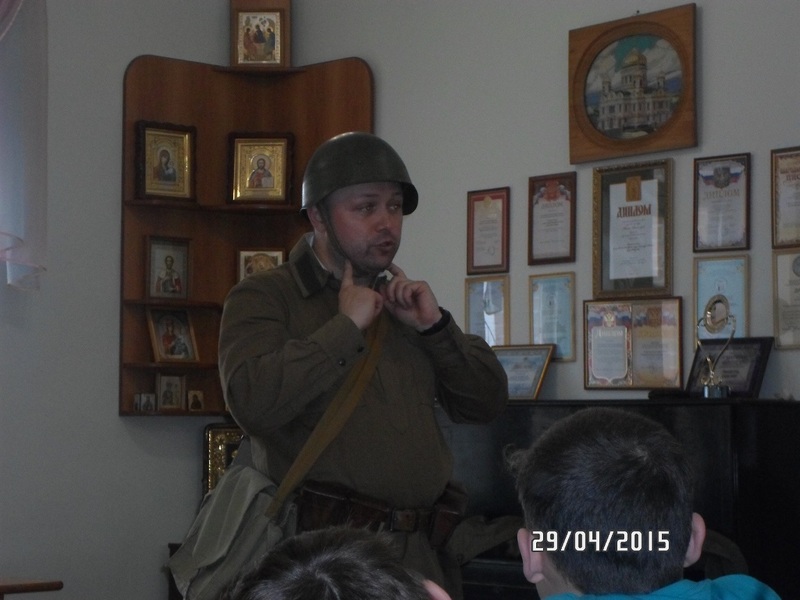 They told to the young warriors about armaments and uniform of the World War II. 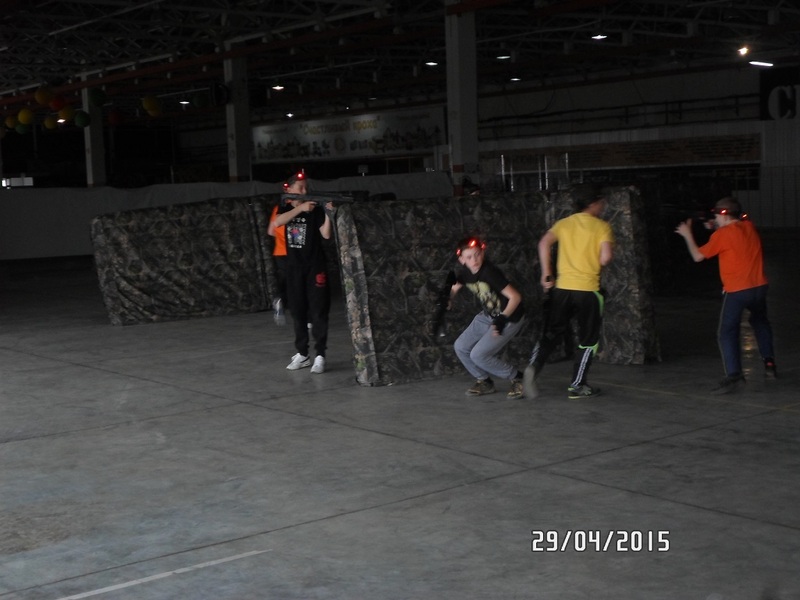 It was the third stage of the game. 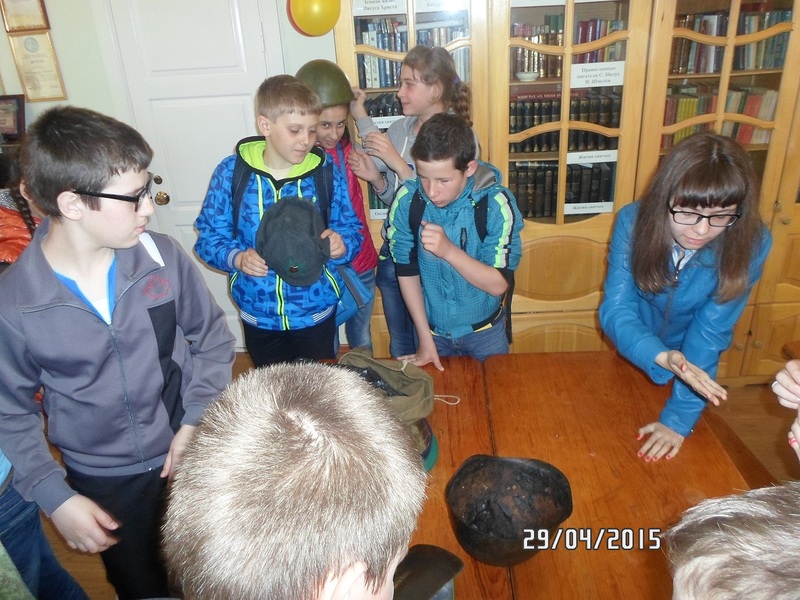 After it everyone could watch and even hold in their hands the weapon and other interesting things belonged to the solders of Soviet Army or to the German soldiers. 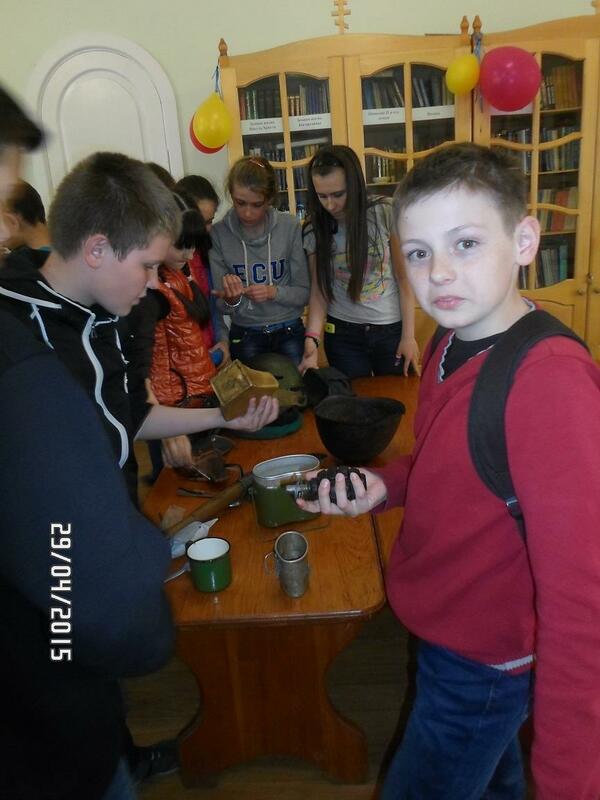 There were submachine guns, a pistol, a hand-grenade, a metal cup, spoons, a helmet and other thing. 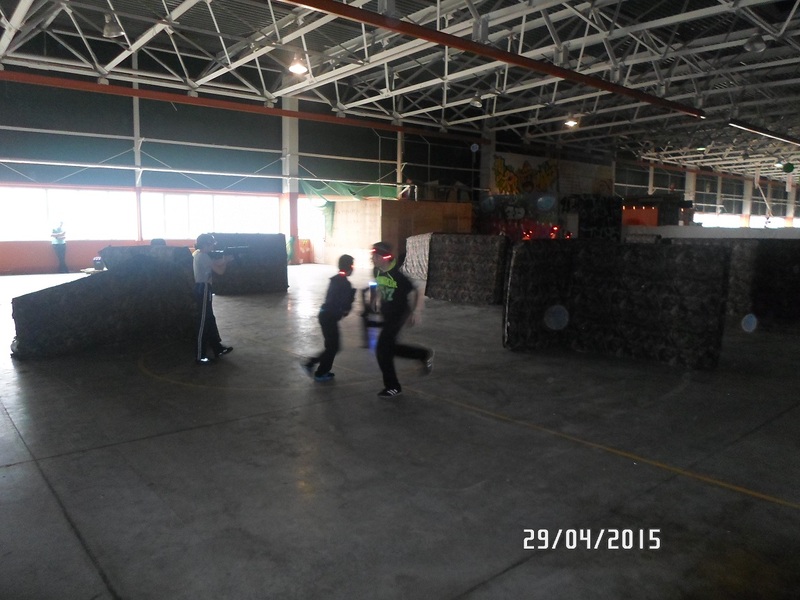 All pupils and their teachers enjoyed the play very much. 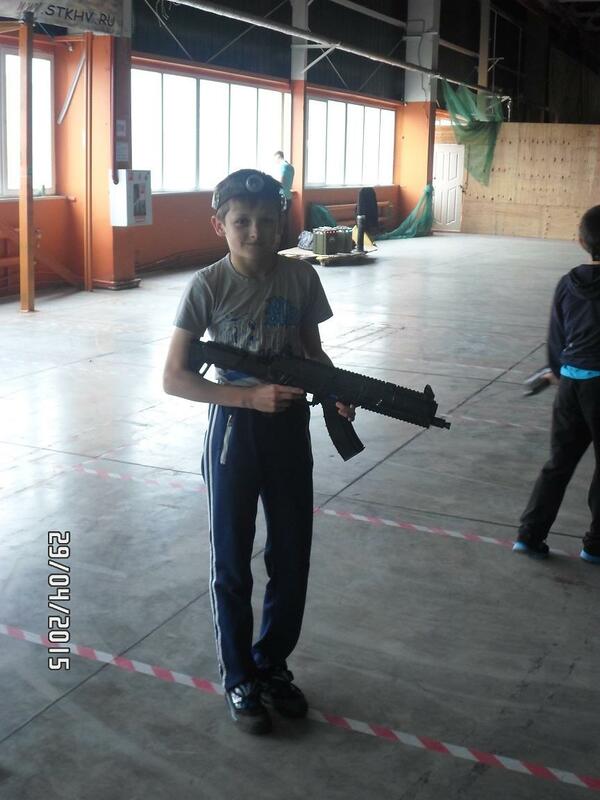 The game is go on.